I have an unhealthy obsession with all kitchen items. It doesn't matter if it's a muffin pan, a blender, or a spatula, I love everything equally. I had more fun than most when creating my wedding registry. Seeing all of the kitchen items on my list made my eyes light up like the fourth of July! I was truly like a kid in a candy store. Cooking is something I truly enjoy, and I'm always on the lookout for the newest and hottest kitchen appliances. Having quality kitchen items and appliances in your kitchen is a must-have. Back to school season is upon us. 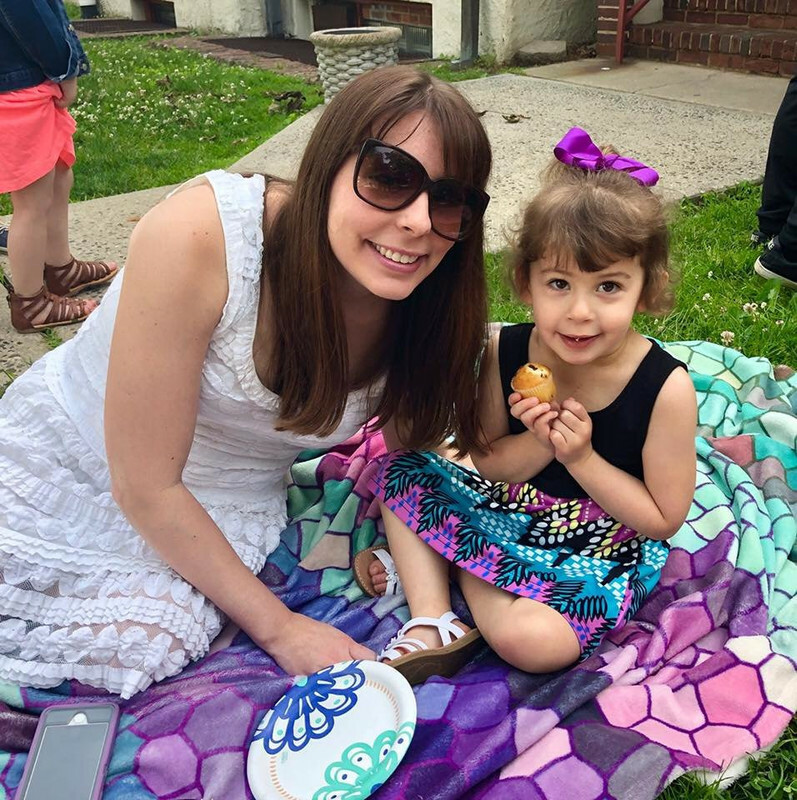 I'm sure many parents are happy for the break and to have routine and structure back in their lives, but this time of year can be hectic. You're shuttling kids around from one activity to the other while trying to balance homework and everything else. It can be difficult to have the time and energy to prepare meals. T-Fal is hosting a social media back to school photo contest from 8/10-9/7. The brand encourages you to use the hashtag #TFalBack2School and take a picture of a room in your house that needs the most help getting organized for back to school season. Share the photo across Facebook, Twitter, and Instagram for a chance at a grand prize of T-Fal products and a Visa gift card valued at $1,000! Five lucky runner-ups will receive T-Fal products to help them clean and organize their homes. Let's face it, my current pots and pans set has seen better days. I mean it's really, really old. It's been time to replace it for some time now. I do a lot of cooking so it's important that my cookware set be at the top of its game. I've heard excellent things about T-Fal's pots and pans and have been meaning to try them. I was very fortunate when a set of T-Fal's Excite 14 Piece Cookware came my way. Not only was the set shiny and new but it was in a gorgeous berry color too! I couldn't wait to try it out and make something that would make my belly happy. Have you ever seen anything more beautiful in your life? What a work of art! This set includes one large sauce pot, one small frying pan, one medium sauce pot, one big frying pan, one small sauce pot, a set of measuring spoons, and an adorably small frying pan. Not only do I absolutely love the color, but I love how lightweight each item is too. Nobody wants to cook with heavy pots and pans that you can barely lift. One awesome bonus about this set is that it's dishwasher safe! Most pots and pans would be destroyed if you put them in the dishwasher, but now clean-up will truly be a breeze. My kitchen cabinets were very excited to meet their newest family members. It was so nice getting rid of my old pots and pans and having a brand new set to put in its place. I used the set for the first time last night and made a delicious pasta dish for my husband and I. The large frying pan cooked the turkey sausage while the large saucepot was for the pasta. The sausage cooked quickly and evenly and I was so pleased to see that nothing stuck when I was done. Sometimes I have pasta stick to the bottom of my pot but this was not the case with this pot. Everything came out easily and smoothly. What a nice change from what I'm used to! The non-stick feature is life-saving and lets you enjoy every last bite of what you cooked. Yes, it's okay to lick your screen. Go for it. I'm very satisfied with the quality of T-Fal's excite line and am so happy to have them in my home now. Once dinner was over, we put everything in the dishwasher and were able to spend quality time together instead of washing dishes. What a change from our normal post-meal clean-up. I can't wait to use the cookware set in the near future to cook everyday favorites as well as trying my hand at new recipes. I know that the results will not only be tasty but cooked excellently thanks to T-Fal. If your'e looking to spice up your kitchen, it's time to bring T-Fal into your life. No. so I really want to win this giveaway!! I have one really old tfal frying pan. It works pretty well. No I do not have T-Fal. I did not purchase what we have--my husband did. Yes, we have T-Fal pots and pans. Yes I do and I just love using them. I wouldn't cook with anything else. I don't have any T-Fal products yet. I don't have an T-Fal products but I would like to. No I do not currently have any T-Fal products in my home. I have a set of 3 T-fal frying pans and love them. Thanks so much. Currently I have no TFal products in the house. I don't have any T-Fal products. I don't own any. I would love to though! I currently do not have any T-Fal products in my house. We do not have any T-Fal products currently. Sadly I do not...but my Mom does and I have cooked at her place. Quality products! I have a few T-fal pans, and I really like them. Thank you! I do not have T-Fal currently but I would love to have them! Yes, I do. I love their products. I prefer and buy T-Fal frying pans. So yes they are in my hone. No, I don't have any. I would love some though. I have one t-fal pot in my house, its a small saucepan. I currently don't have any. I have not T-fal products in my home. No, i do not have any T-Fal products in my home. I don't currently have any T-Fal products. I would love to try some. 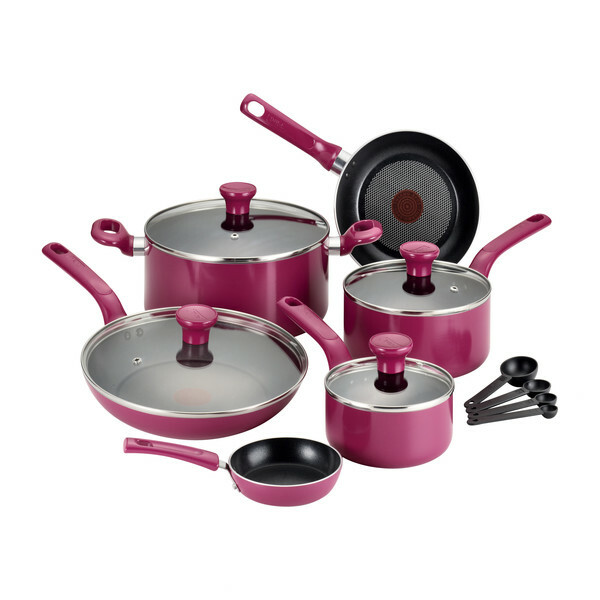 WE have a cooking set by them and love it. I do not have any T-Fal right now but this would be a great addition to my kitchen. I currently don't, but would love to! We currently do not have any of their items in our home, I am not sure why but we don't. I have T-Fal pots and pans. I have some T-Fal Stainless Steel Pans but none of their other products. I have one T-Fal 12" frying pan. yes----i have some T-Fal skillets! No, I don't have any in my home. Yes. I currently own pots and pans from T-fal. Hasn't failed me yet! I do not currently have TFal products in my home. I currently don't have any T-Fal products in my home but I would love to have some! No I don't, but I would love to try some. I have a t-fal sauté pan that I just love!! no i don't own T-Fal. Yes I have a set of sauté pans, I got them because America's Test Kitchen rated them highly. This would be awesome to win!Thanks for the chance! I do have a couple T-fal pans and they are great. I could always use more. I do not have an T-Fal products in my home, but I would love to have some! I have a couple that was given. Would love to have new tfal products. I don't but I'd love to! I have several Tfal and love every pan.. I do, I have a T-Fal Pressure Cooker which I use at least once a week! I don't have any T-Fal products in my home. I do not have any T-Fal in my house!! I would be thrilled to win this awesome prize!! My mother used T-Fal for years, so I know this would be amazing to win!! Fingers crossed!! I have several T-Fal pots and pans. Love them! i have never had a t-fal before but i have always wanted one since i was teenager watching simply ming . I do. I have a large T-Fal frying pan....and I love it! I own a T-Fal skillet. Love to have a whole set of the product. I do not have any T-Fal cookware in my kitchen, but I do have T-Fal gadgetry. It's high quality stuff. I'm sorry if I'm leaving multiple comments. It's not clear to me if my other ones posted. I do not have t-fal cookware, but I do have some of their gadgets. I currently own a T-Fal toaster and fry pan. I do not own any TFal, yet but this cooker thing just might be my first! It looks so incredibly useful! I have the grill and it's awesome, but I could really use this! We have one T-Fal pan, and it's what we do most of our stove top cooking in. This is interesting. I want to try this now. I have several Tfal pots and pans in my kitchen. I have a T-Fal cookware set that I got as a wedding gift years ago and still use it to this day! I don't have any but my daughter does and loves the brand. No I don't but I have in the past. No I do not have T-Fal yet. **not an entry, just a note** T-fal USA is @Tfal_Cookware on twitter so the widget will not register anyone's entry. I have a T-Fal skillet and it's my favorite. No, I do not have any T-Fal items in my home. I have one T-Fal pan. I was looking at my pots and pans this week and wishing I had a new set. I do not have any T-Fal in my home. I have two frying pans that are T-fal and I love them! I do currently have a T-Fal pan and I'd love some more! I don't have any T-Fal products in my home, but I'd love to start by owning this one! I have a few treasured T-fal pans that were my mothers. Yes we have T-fal products - pots and pans. I love using them. They last for a long time. I do not currently have any T-Fal products in my home. Yes i do i love there products. Yes I sure do! I adore T-Fal cookware and have even got a pots and pans set already bought to give my sister for xmas! I own a few T-Fal pans, but I've never bought a full set. I don't have any T-Fall products currently. My parents had them and they are a great brand. I would love to have some. Thank you so much for the opportunity. I do not have any t fal in my kitchen. I don't own any T-Fal products yet. Yes, I currently have a few of their non stick frying pans and I LOVE them! I do have one T-Fal medium sized skillet that I have had for over 7 years and it still looks great. I have a few T-fal pots that I purchased from QVC over 25 years ago. I use them all the time. We have a couple of T Fal fry pans I think they're 20 years old! I have no T-Fal products. I do not have t-fal products at home but I would love to. I don't have any right now, but I would like to. I do not currently have T-Fal products at home. I would like to change that and try out a pan! We do not have any T-fal in our home yet. no, and I really want to try them! I have heard fantastic things about this great cookware! I do not currently own any T-Fal products. Thank you so much for offering such a wonderful giveaway! No T-Fal over here. I am hoping to change this. I wrote on your FB page that I entered this giveaway as Terry Stevens. No,I Dont have any T- Fal Products. No, I don't have any but you make them sound awesome! Yes we currently have some pans from T-fal and they are great! Yes I do. I have one tiny T-fal pot. I have a couple of older T-Fal non stick pans. I have an iron and I just love it! I used to have some TFal but got scalped by my kids as they left home. LOL. I have a few t-fal pans and I have the t-fal grill (which I love). I do not have any T-Fal cookware. I have heard of the brand before, but I was generally unfamiliar until now. I don't but I'd love some! I don't have any T-Fal items in our home. We currently have a T-Fal set of pots and pans. I have a tfal teaapot I just love its really a pretty color and I have had it for years. We have t-fal pots and pans, and I love them! I have a really nice T-Fal pan, and I recently picked up a T-Fal mixing bowl, which I love. Good stuff! 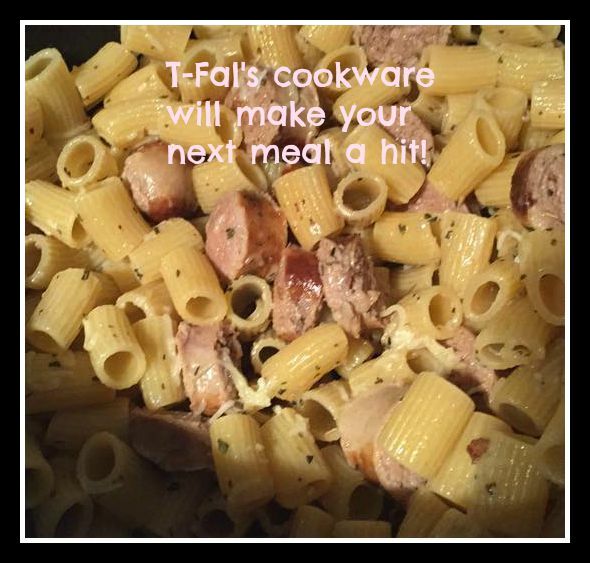 i dont have any t fal products but wished i did.. i have the cheapest worst cookware. No, I done own or have tried any of their products. I posted a comment on your FB page that I entered the giveaway as Terry Stevens. I do not have any T-Fal products in my home, but would like to try them out. I have a T-Fal skillet and it is often in use. I love how easily it cleans. I have a few pans of T-Fal that are original and very old. I do have two T-Fal pans, both old now, but in great condition. I do not have any TFal products. I don't have any T-Fal pans, I heard they're great!!! No, I do not, and many of my cookware items are definitely showing their age. Yes, we do have T-fal pans at home that are in great condition for their age.